This refinement of the patented HJB extends the jib boom forward dramatically increasing offwind speed and reducing weather helm. See the full details here. 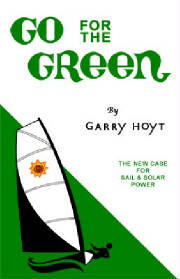 GO FOR THE GREEN by Garry Hoyt can be ordered online at iUniverse.com.